¿QUE ES GIVE BIG KERN? It's time to take the love you have for your favorite nonprofit or charitable cause! Give Big Kern is designed to make it super simple for you to build support for the organizations and causes you care about. So, let's get everyone in your network ready to give! How do I become a Fundraising Champion? What Link Do I Share? 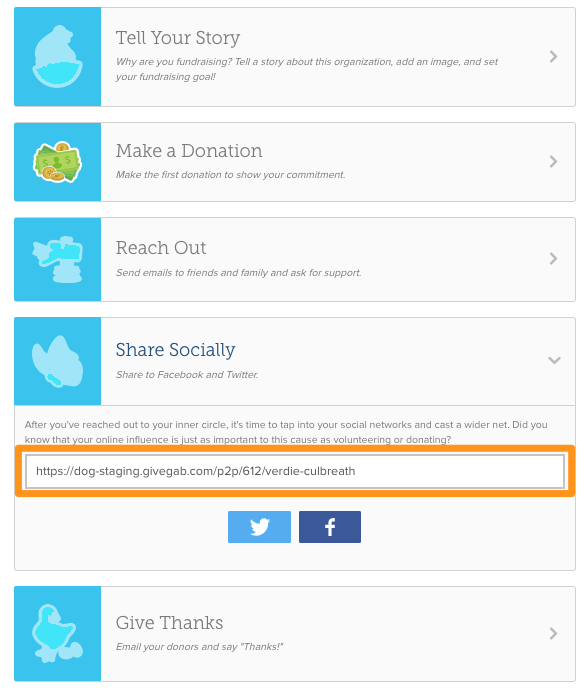 You'll want to share the link created for your fundraising page found in your Fundraising Toolkit. You can also share the main campaign link, and your supporters will still be able to donate to your specific page! How do I get the Word Out? To get the word our about Give Big Kern, you'll want to communicate with your contacts through email messages, social media posts, and word of mouth.Check out some of the sample content below for ideas of what to post and when! As a Fundraising Champion you're responsible for getting the word out about Give Big Kern, and encouraging support for your fundraiser and the organization that you are fundraising for! The Nonprofit Leaders for the Organization you are supporting will likely have a goal in place that they are hoping to reach during Give Big Kern and you are responsible for helping them to reach that goal! You should set an individual goal for your fundraiser to let your friends and family know what portion of your organization's goal you are hoping to help achieve. Most importantly, you are responsible for having fun with your fundraising efforts and working to share enthusiasm and support for your organization and the causes and objectives you are helping to support. Create a fun video and colorful, passionate thank you message. These small gestures can go a long way for your organization's fundraising efforts! How do I use the Fundraiser's Toolkit? How do I change the goal on my Fundraiser? How do I thank my donors? How do I join a peer-to-peer fundraising team?